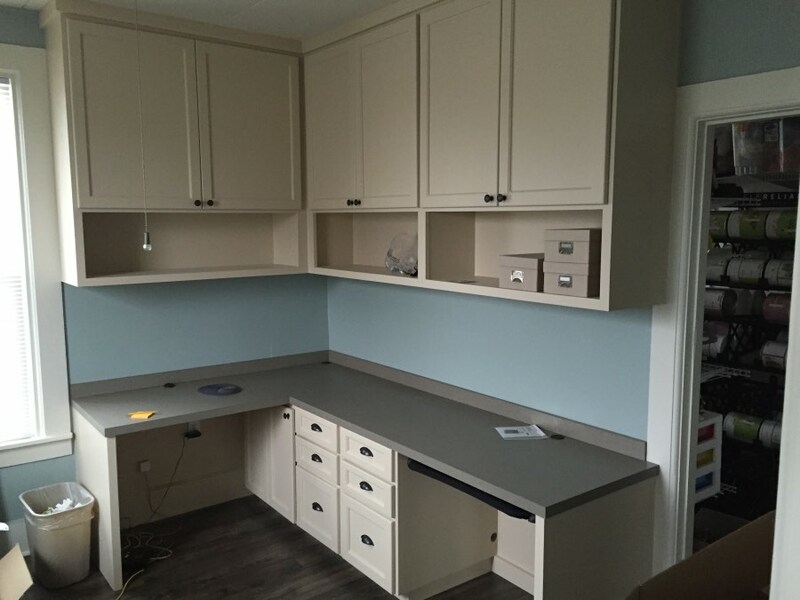 With the increase in technology and communications, our homes have become a place where a large amount of business is conducted. 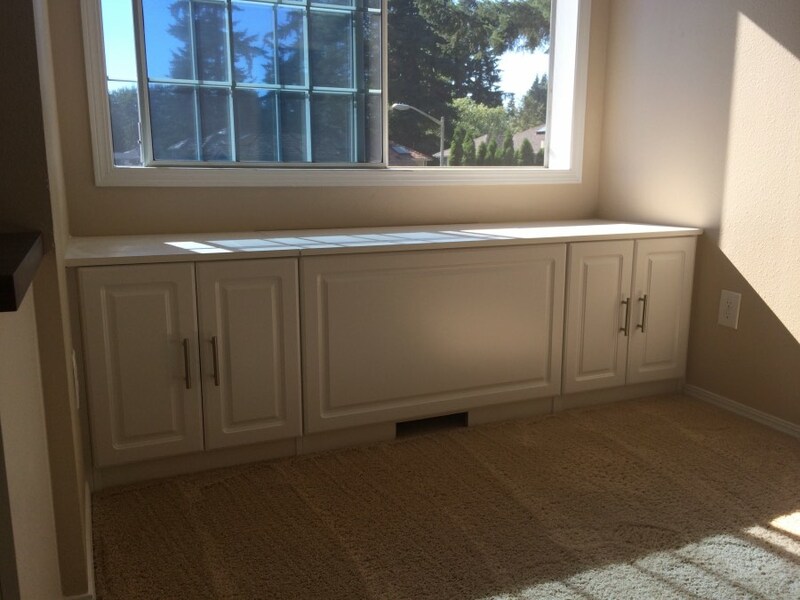 This cuts down on the commute, but presents a real and growing need for efficient and specialized space. 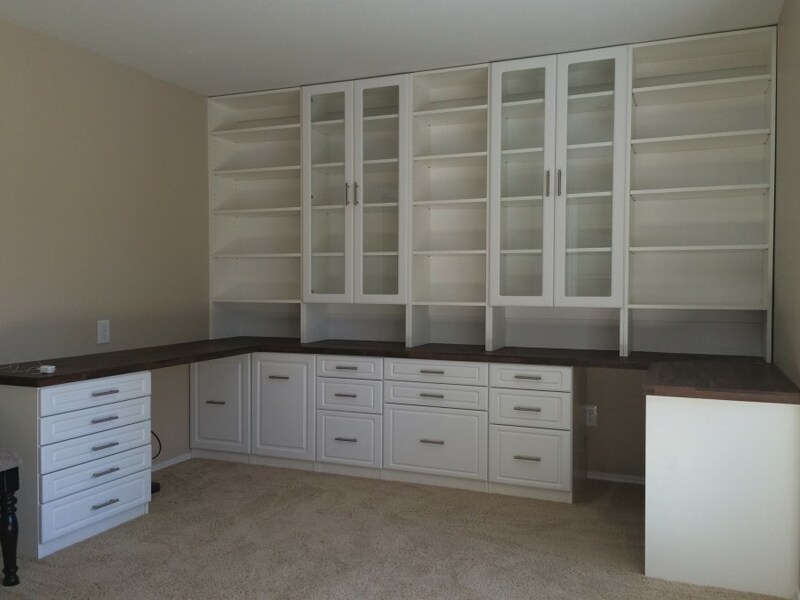 We can help you create an attractive and user-friendly environment by determining your particular needs for a custom home office and designing for the kinds of equipment you use. 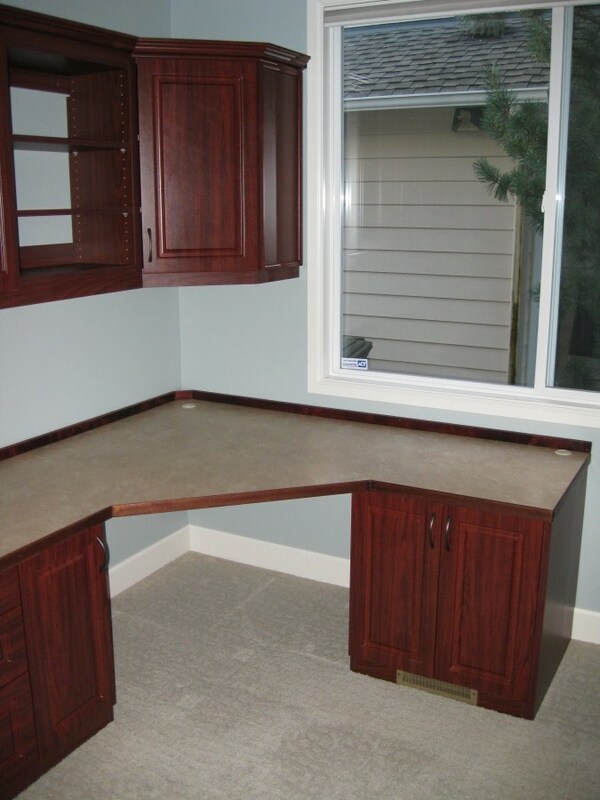 Even small spaces can be made more efficient, enough perhaps to simply manage the necessary household requirements. 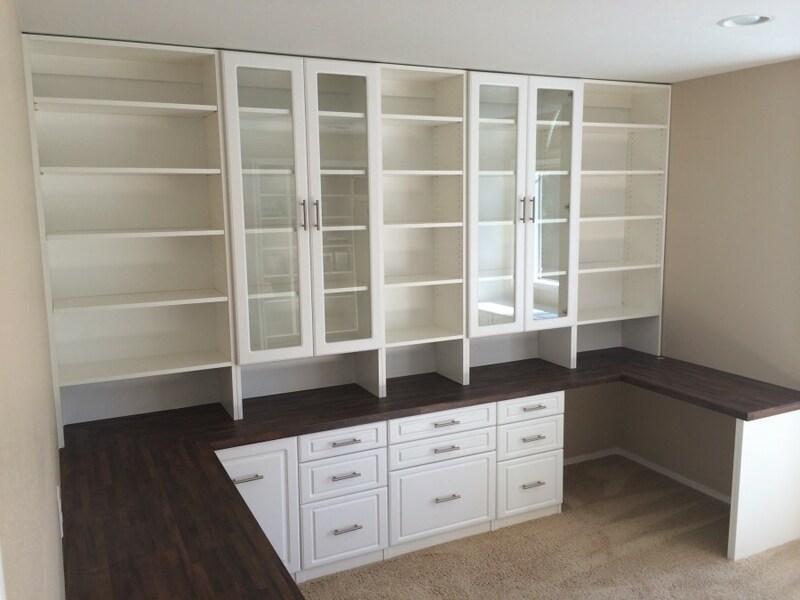 Whether you're a regional manager in charge of a sales force or just need a place to manage the household, we can design to your particular needs and help create an efficient and beautiful Home Office Solution. 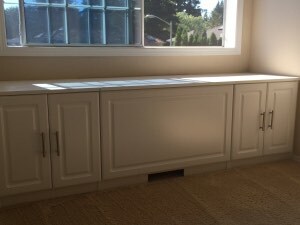 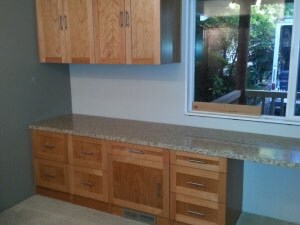 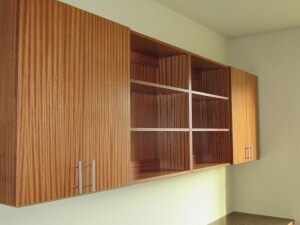 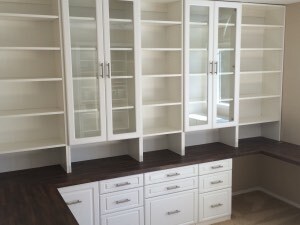 Home office cabinetry is always exciting because it can do so many different things. 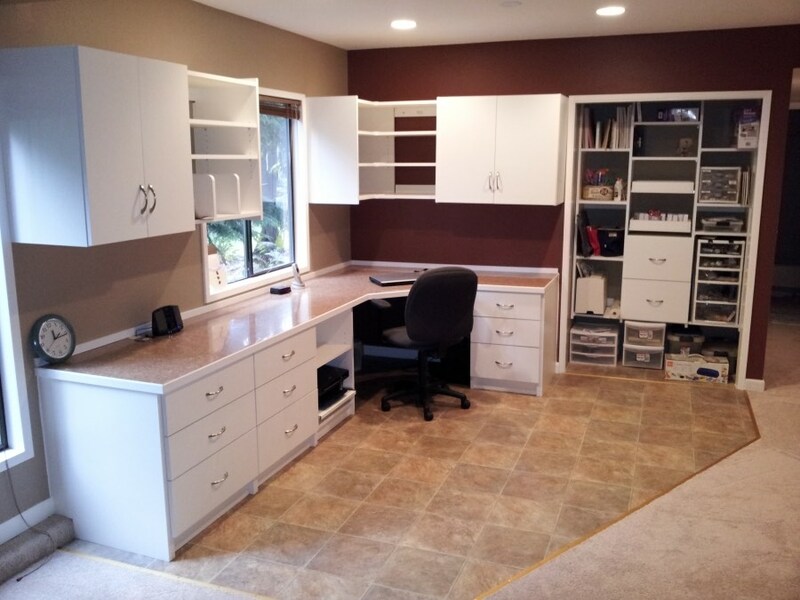 It helps organize your life and business, which in turn makes for better function, resulting in a happier work experience. 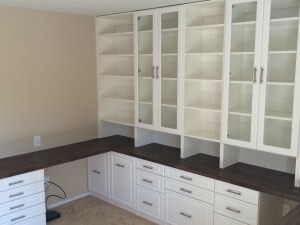 Lets face it: work is not fun all the time. 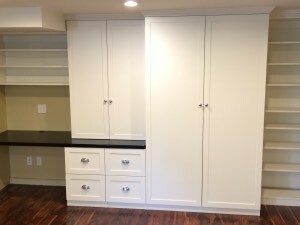 The least you can do is create an environment where it work flows nicely because you know where things are, its clean and it looks professional. 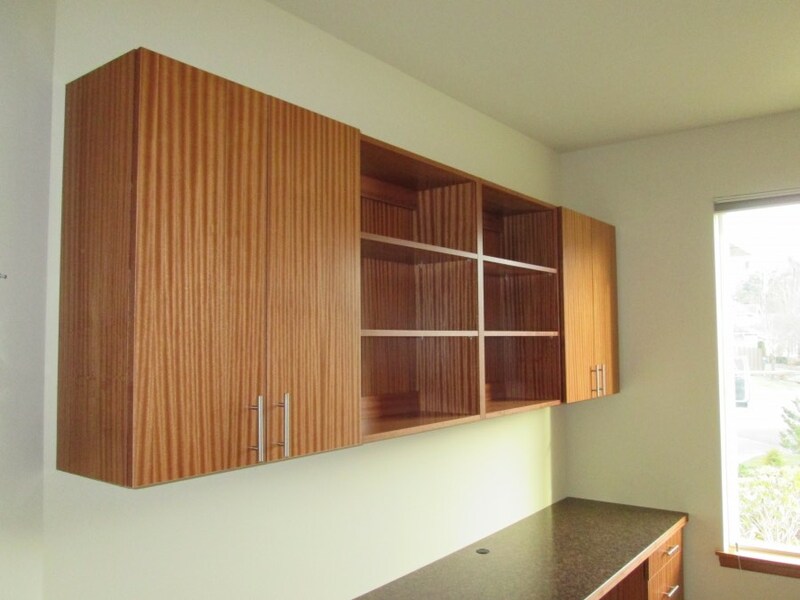 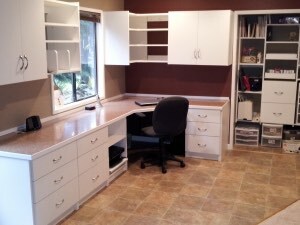 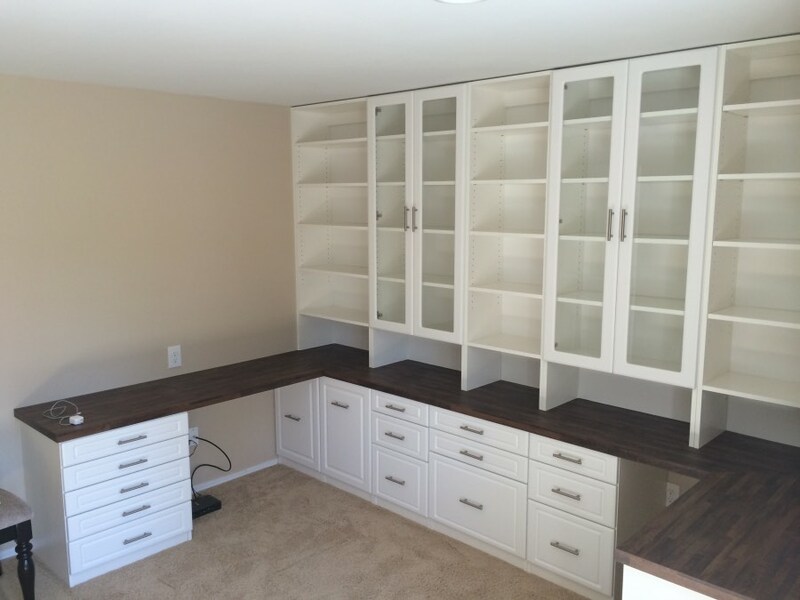 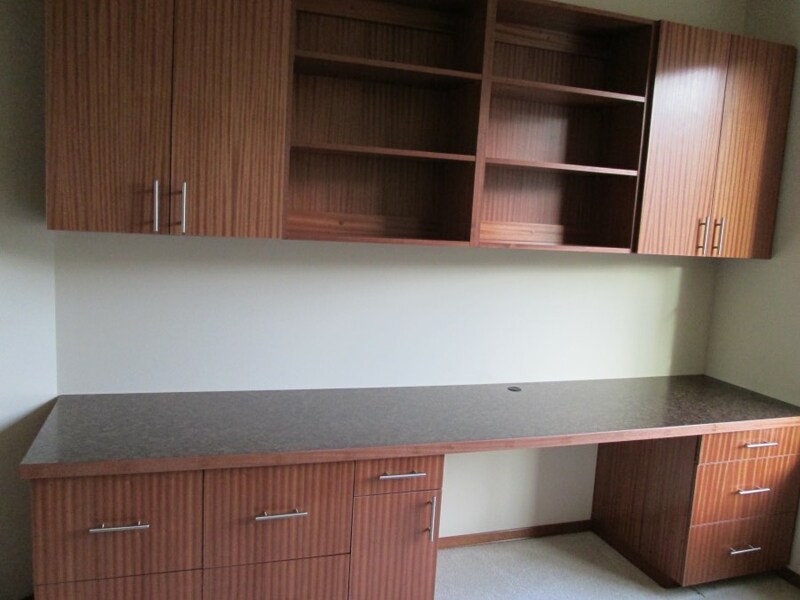 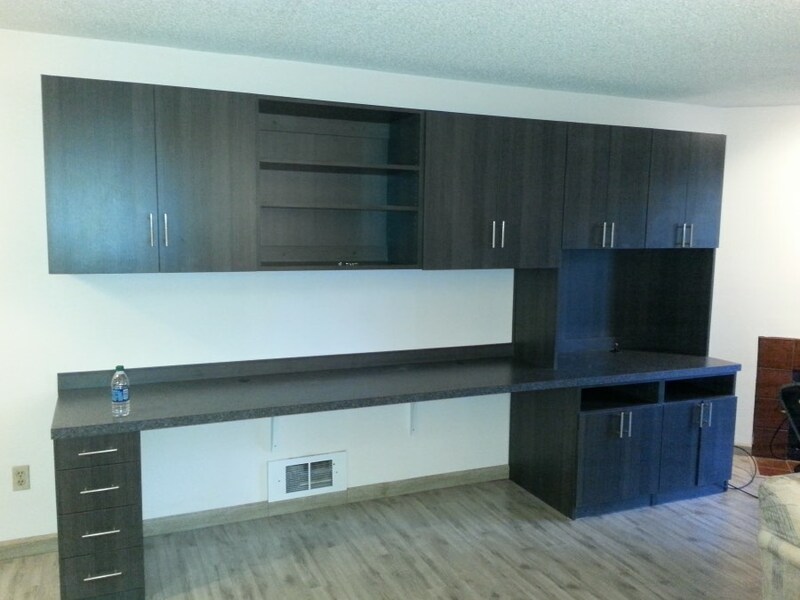 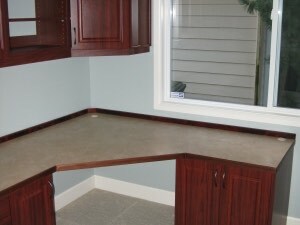 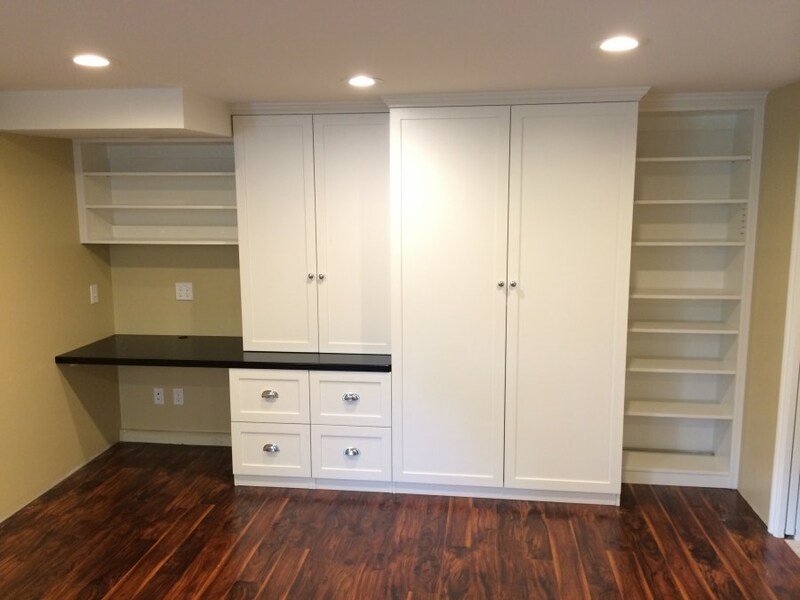 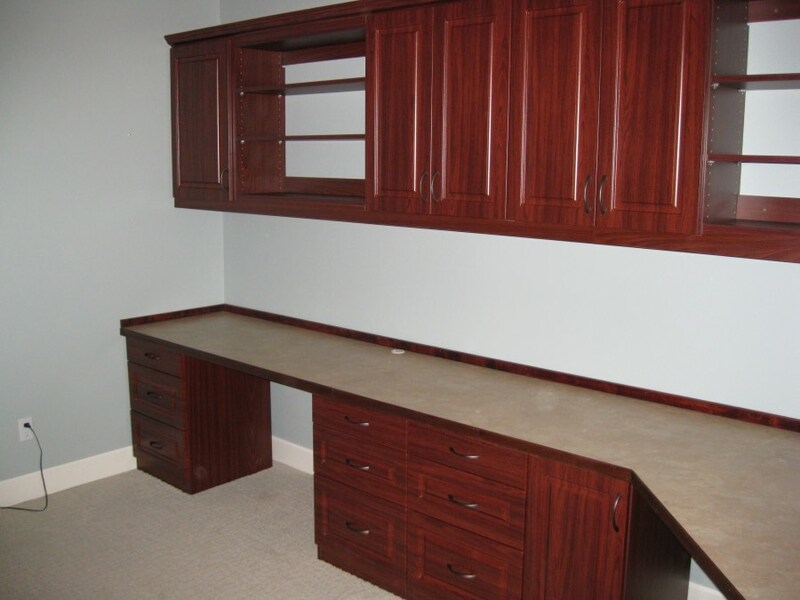 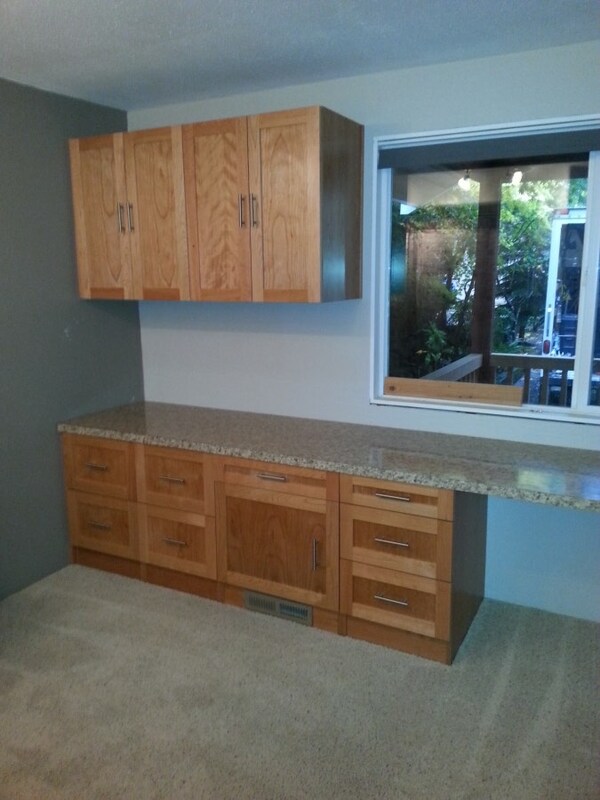 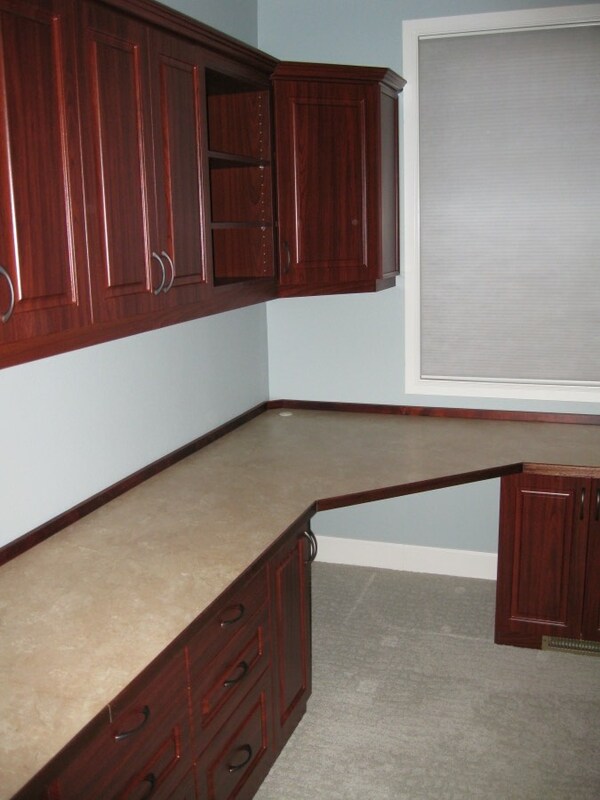 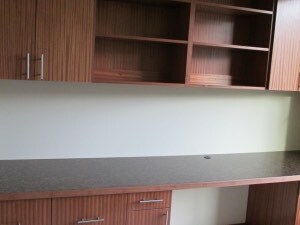 With a custom home office, you get to choose from many of our finishes both melamine and real wood. 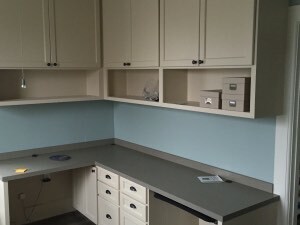 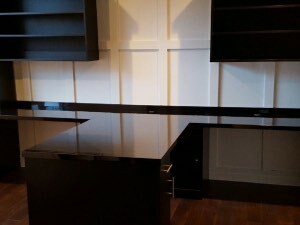 You also have hundreds of laminate countertop selections, and we work with granite companies if you are really shooting for something special. 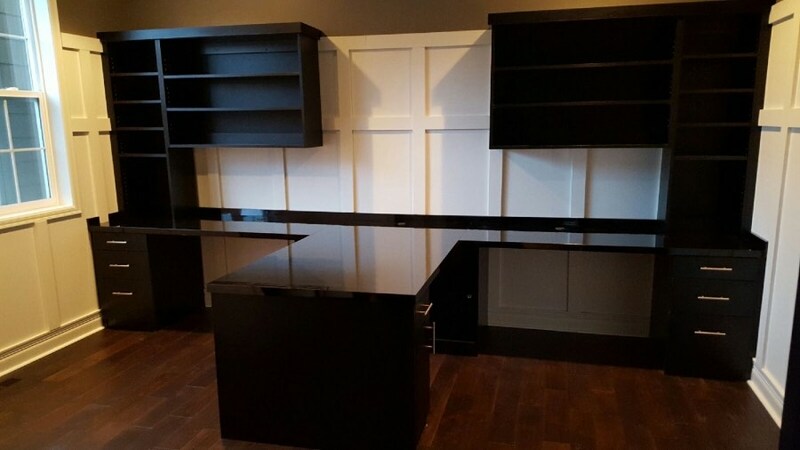 So whether you are the Chief Executive Officer of your home or of a Fortune 500 business, a custom home office is a great investment for yourself and your work. 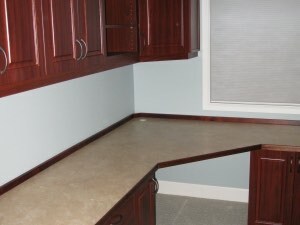 Tight on space? 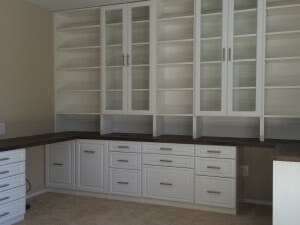 Custom wallbeds or Murphy beds are also an excellent addition to any home office for those who would like to have multi-use for when guests come in town. 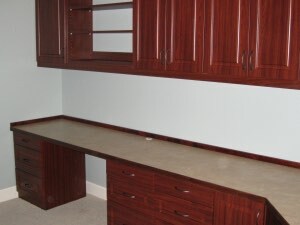 Simply fold a bed down for an instant guest room, or fold up for a custom home office--both you and your guests win! 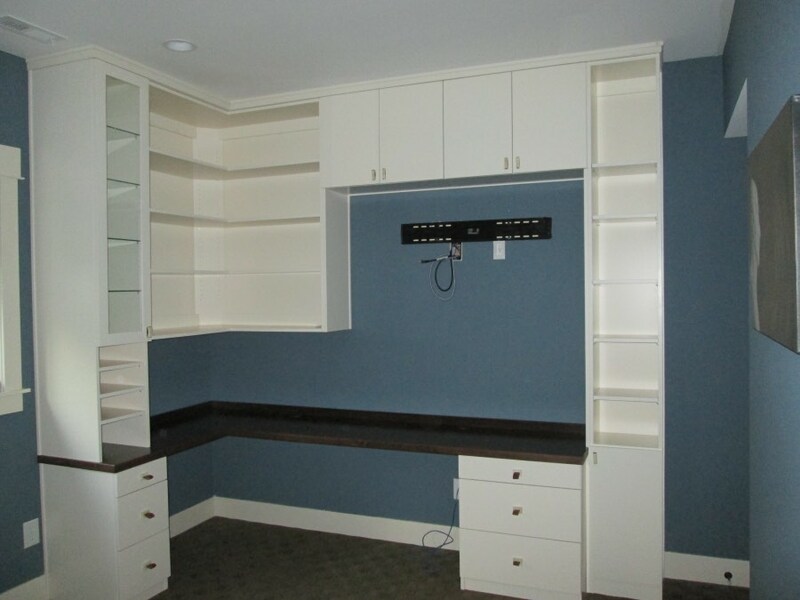 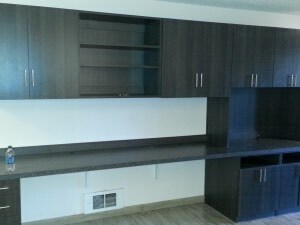 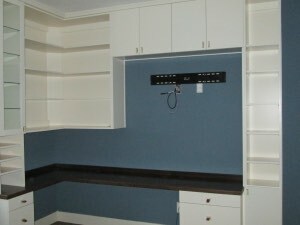 Check out our information on Murphy and wallbeds.